Muenster Antique Mall is 7,000 square feet of packed with attic finds, treasures, collectibles, and antiques. The Muenster Antique Mall is owned and operated by Harold & Jeannine Flusche, homegrown Muenster residents who are committed to the well-being of the local community. If you break for antique shops, yard sales, flea markets, or garage sales, you'll love it here. From the outside, it’s a long, low building with a red metal roof. But inside, it’s a wonderland of goodies. You’ll find jewelry, toys, furniture, funny signs and kitchen tools, plus yard tools and mechanic’s tools, china, glassware, linens, tchotchkes and lots of things you didn’t know you needed until you got here. Muenster Antique Mall is located on Highway 82, just west of Gainesville. After your visit to the Muenster Antique Mall, check out the shops on Main Street to find one-of-a-kind gifts for everyone on your list. We're always happy to provide directions and recommendations, so don't hesitate to ask. 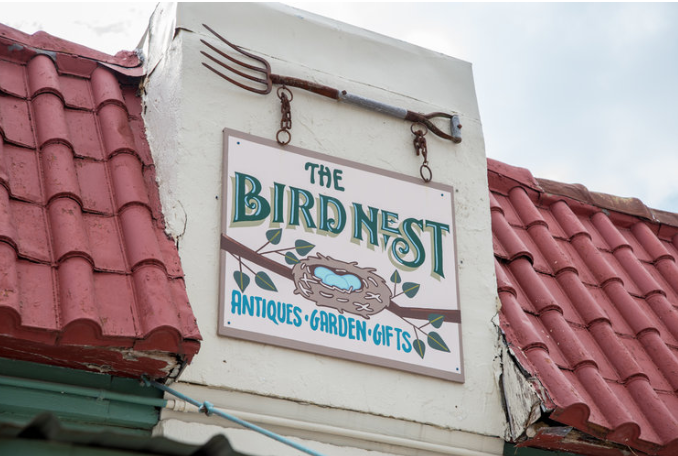 The Bird Nest is full of quality items for your garden and home.